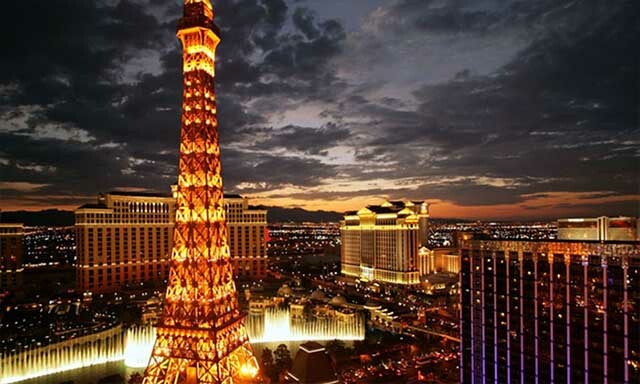 Las Vegas Halloween is about more than just a costume, it's all about the candy and treats! Spark up your imagination with these choice events, parties and parades...both on and off the Las Vegas Strip. Who knows, you might run into George Clooney! We. Are. Fresh: this page updated with 2 new event on October 26, 2018. Starting this weekend - Oct. 27 through 31, 2018 - celebrate Halloween at The LINQ Promenade, the popular open-air entertainment, dining and retail district at the heart of the Strip. The LINQ Promenade will transform into a ghoulish Halloween experience with TRIQ-or-treating, a costume contest, Monster's Ball stage show, balloon artists, magician and street characters. 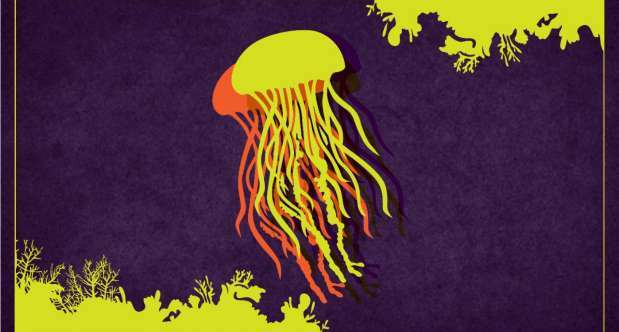 Join Shark Reef for treats and fun as we turn Shark Reef Aquarium into a spooky shipwreck October 26 - 28. Kids 12 and under in costume receive complimentary admission on Friday and discounted admission on Saturday and Sunday. There will be trick-or-treating for the kids all three days. Celebrate the start of Halloween season by joining us in Halloween Town for a pizza dinner and fun games followed by a viewing of the Tim Burton original film, The Nightmare Before Christmas. Admission: $13 for members, $15 for non-members per person. FREE for kids under age 2. 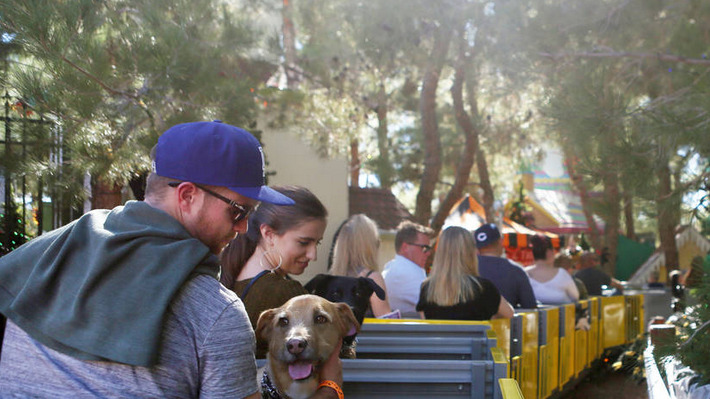 The Halloweenie Dog at the LINQ's Haute Doggery is sure to get you in a spooky moood. This Halloween themed hotdog is a classic NYC stype dog with a grilled bun, mustard, sauerkraut, and bloody onions. Join The District at Green Valley Ranch for Halloween Ghost Walk featuring a Halloween costume contest and trick or treating in the center (look for participating retailers sign on the storefront). Located on Main Street by the courtyard. Once we receive details on the events below we'll update dates and times for 2018. Stay tuned! Nevadaween combines the fun of Halloween and celebrates the Birthday of Nevada! Family fun activities start at 9 am with Pumpkin Painting, and the Children's Costume Contest for ages up to 12 years old at 10am, Soup Cook-off at 11am, and more! When: Various dates in October 2017--see above. Enjoy a fall harvest with the Conservatory's Artistry of Autumn. Pumpkins, birches and autumn mums are on display. This year, The LINQ Promenade and High Roller are throwing a spooktacular Halloween extravaganza with three different events beginning with The Zombie Escape, opening on Saturday, October 8, 2017. 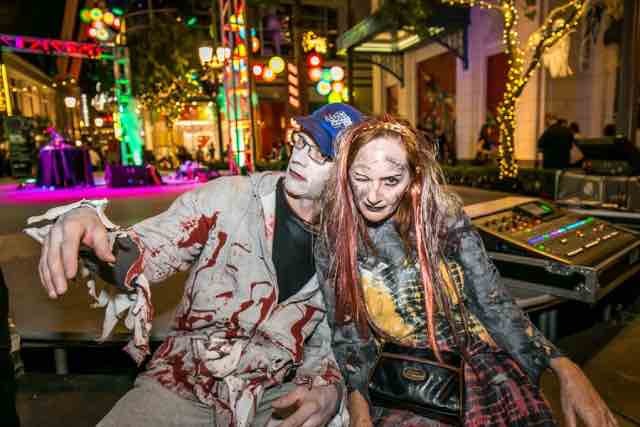 During TRIQ or Treat and a Halloween Celebration on the weekend of October 29 - 31, 2017, the LINQ Promenade will be decorated, offer family-friendly music, host face painters, stilt walkers and a zombie LED drumline at the top of each hour. General admission tickets start at $20. The Zombie Escape will be open every Wednesday - Sunday for the month of October featuring a special celebration on Halloween night. 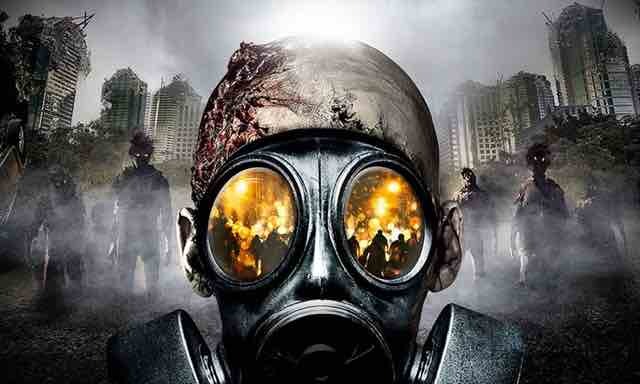 Located at the Meadows Mall, The Asylum and Hotel Fear take "victims" on the most frightening adventure of the season. The Asylum began life as The Meadview Health Sanctuary in the late 1800's. Once a cutting edge facility like the Kellogg facilities of Michigan, its purpose was to foster good health through controlled diet, exercise and regulated purging of the intestinal tract. As its theories on health fell from social prominence, the facility declined into disuse. The Feoray family emigrated from Europe where they owned and operated an inn. When Jonathon Feoray came to the states as a young man, he brought with him the knowledge and experience of the family business. He worked at several hotels and inns as he traveled across the country?little did he know his travels would end in his own peril. When: October 5-8, 12-15, 19-22, 26-31, 2017. If you're the kind of person who's hard to scare, here's a review snippet for you from Edge Las Vegas: "There is no other Halloween attraction in the Southwest ? not Fright Dome on the Las Vegas Strip, not the Queen Mary in Long Beach, not Knott?s Scary Farm in Orange County..." Not conviced? Try it out. Located at the Grand Canyon Shopping Center, it isn?t too far from the Strip or for locals around town. When: Sep 29 - October 1, October 6-8, 13-31, 2017. Housing and Residential Life and the Tonopah Complex are excited to announce UNLV's most 'spooktacular' annual tradition: Boo Bash! 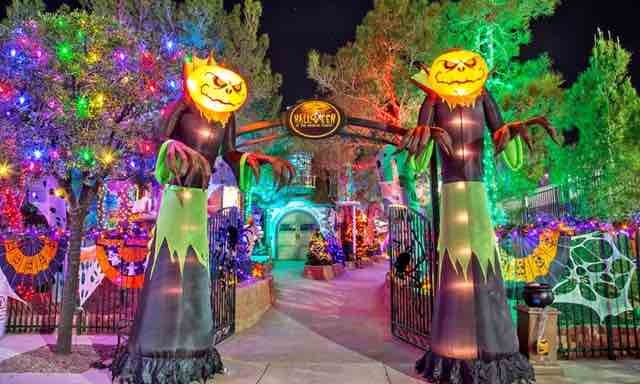 Boo Bash gives local underprivileged children and their families a safe and fun place to Trick-or-Treat and enjoy Halloween-style festivities here in fabulous Las Vegas! 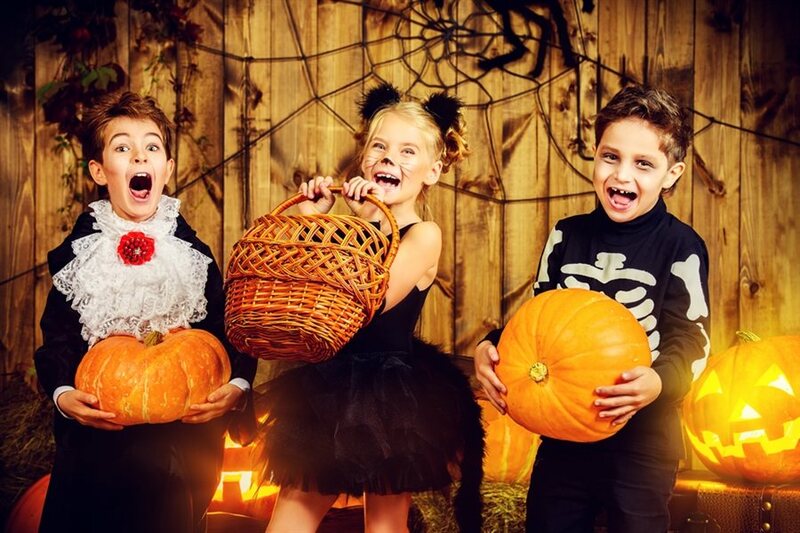 Each year, almost 1,000 area children and their families attend the event that features "haunted houses," carnival games, large inflatables, and plenty of candy! UNLV's oldest residential community is preparing to transform its halls and open its doors for another great Boo Bash event! On October 31, 2017 from 9am to 11pm, all who visit Hershey's Chocolate World, located outside of New York-New York, will receive a complimentary snack size Hershey's Candy Corn Crème Bar to indulge your appetite! The Brooklyn Bridge at New York - New York hotel has been transformed into the "Zombie Precinct" awaiting the death of Inmate #13 surrounded by zombies, creatures, and lightning bolts. Become an official investigator and help end the curse of Inmate #13. This event is open 10/8 through 10/31 from 6 pm until real, real, late! 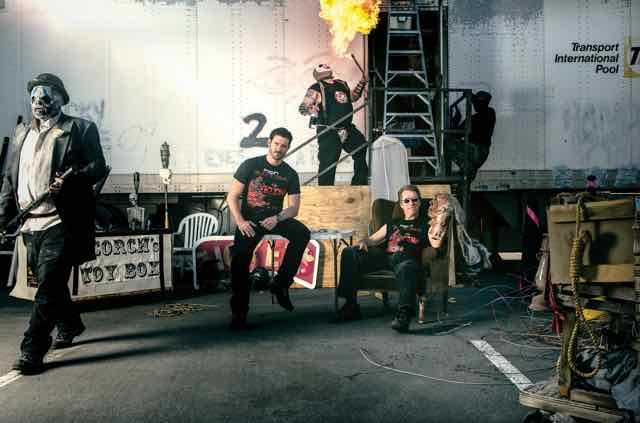 Tickets are $20 and can be purchased at the Zumanity Box Office. Please join us for a fun-filled afternoon of games, crafts, Halloween treats and lots of great memories! The cost is $5 per wristband for ages 2 and older. Our Halloween Party will include crafts, games, prizes, food and drinks. This is going to be a really great party!! Bring the children dressed in their costumes! If any of you would like to donate cakes or a dessert for a cake walk, that we be really awesome. :) We are planning games inside and outside which also includes a candy hunt. I hope everyone can make it. Great family event! Free event for the whole family. First 20 people to register gets a free pumpkin. Bounce House, Cake Walk, Costume Contest, Halloween egg hunt. Snack refreshments will be served. Run/Walk at any location you want. You can use the treadmill, run outside, your own course, another race, or get your running group together. You can run the event any day before the race end date. Wear your costumes or scary pajamas to our special Halloween pajama party. 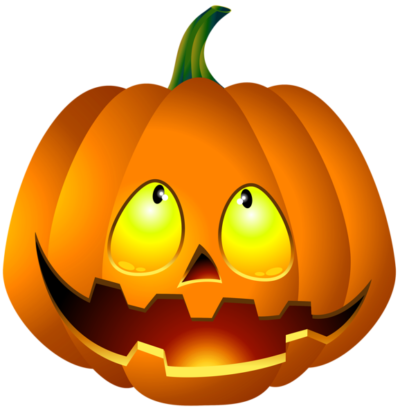 We will read spooky stories, sing scary songs, and make frightening crafts. Join your favorite puppets for trick or treats and spooky tales! Come one come all for a Fun Fright Family Night out in October wearing your Halloween costumes. Just before Halloween come join Gragson ES as we rasie money for our school with games, food & laughs with your own families. I'll be giving out 10 free token stickers just for the kids attenting. *Gragson PTA will be handing out candy and suprises for all kids in costume that night. Working on a costume contest just gotta wait to hear back to make sure Chuck E. Cheese is ok with it. Bring your family out and let's end Oct with a big smile for the kiddos. Celebrate Halloween with a spooky puppet show! All aboard! The Nevada Southern Railway train will be decorated in a Halloween theme. Kids in costume ride free!, enjoy story time and crafts on the train, free games and face painting, and there's a Pumpkin Patch in Bone Yard. Pumpkins are $5. When: October 29th and 30th at 10am, 11:30, 1pm, and 2pm. Come feel the chills and the horror in our haunted house. We will continue the scary fun with Halloween games and crafts. This program is held in the main theater area. Join us for our Halloween festivities! We will be searching for the best, scariest, funniest pumpkin as well as the best costume. The 6th Annual Las Vegas Halloween Parade (LVHP), will be held on Halloween night, Saturday, October 31, 2015. All interested in joining the parade should arrive, in costume, at the staging area ON 13TH STREET AND FREMONT beginning at 4:30 p.m. THE ROUTE: Starts at 13th & East Fremont Street, and ROLLS WEST to 8th Street for after event The 2014 Las Vegas Halloween Parade had over 3,500 participants and an estimated 30,000 people watching on the sidelines. A French TV reality show filmed the 2012 parade and said it was the best parade they had ever witnessed! 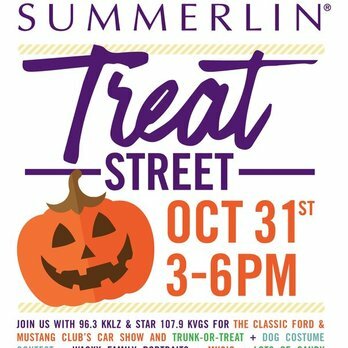 Town Square turns into Town SCARY this Halloween, and children of all ages are invited to trick-or-treat through the streets of Town Square as participating stores and restaurants will be passing out candy from 4 p.m. to 7 p.m. on October 31. Several activities will take place throughout the shopping center including a variety of children's games. Town Scary is free and open to the public. Children are encouraged to bring their own basket for trick-or-treating. Enjoy trunk or treat, food, hayrides, cake walk, bounce houses and games for children.Child-friendly costumes are welcome. Bring your friends! For more information, please call Highland Hills at 566-0200. When: Saturday, Oct. 31, 2015 from 5 to 8 p.m.
Take part in one of the most famous endurance festivals in the Las Vegas area. The run course will remain on the paved roads inside the beautiful Boulder City. Thousands of athletes and spectators will attend this Halloween-themed event at Wilbur Square. Enjoy post-race activities, the largest BBSC expo, a post-race meal and make sure to dress up and show us your Halloween Spirit. Prizes will be awarded for the best costumes during the award ceremonies! Location this year will be at Town Square. This year The Undead Maze features a new, never been done before effect, a hay-bale maze and pumpkin patch for the kids. 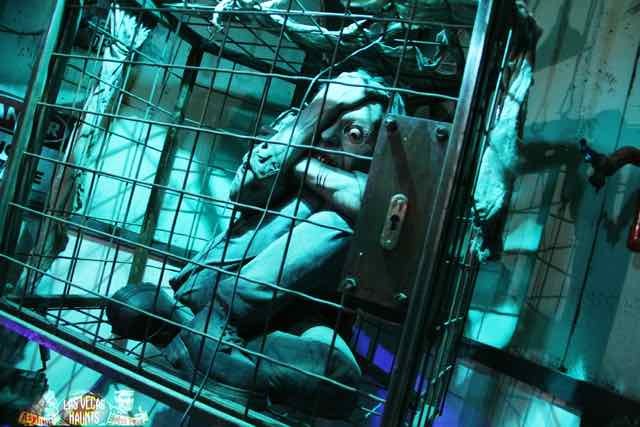 This non-profit Haunted House is scaring for a good cause. 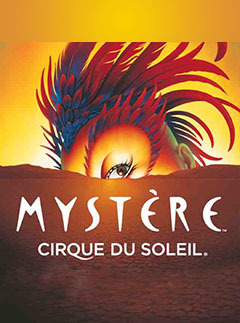 Proceeds will benefit the Nevada Youth Partnership for homeless youth. Relix will present a number of shows at the Brooklyn Bowl.